Why would a shelter want to improve their RTO (Return To Owner) rate? Goodwill, positive press and donations are generated when an animal control agency or shelter takes a proactive approach to reuniting lost pets with their families. Heartwarming stories and photos (easily posted on Facebook) elevate the reputation of the facility from “dog catcher” to compassionate life-savers. Plus, of course, getting lost pets out of the shelter and back home frees up resources for shelter staff and volunteers to help those animals that are truly homeless. Whether your shelter is already proactively helping owners to find their missing pet or expect the owner to come to your shelter to check every few days Helping Lost Pets (HeLP) can assist you and your community. 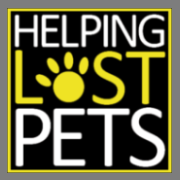 HelpingLostPets.com (HeLP) has built the much needed solution to connect shelters, veterinary clinics, volunteer groups, pet rescues and every pet business together so that everyone can access the same lost and found listings. It’s FREE for all and its map based. 1) HeLP provides a means for people anywhere, anytime to search for their missing pet. Shelter Found Listings, Public Found, Adoptable, Deceased and Sightings are all available. 2) Well organized and experienced volunteers and volunteer groups, such as Lost Dogs of Wisconsin, are already using HeLP in conjunction with their Facebook Page and other means to get pets home. 3) No double entry needed. The purpose of HeLP is not to replace your current systems, but to connect to them automatically. For smaller shelters with no system, it means they can now have technology they could never afford. 4) FAST and EASY Setup. Your shelter can be set up in just a few minutes to begin to take advantage of Public Lost Listings, reducing the number of Lost Reports you need to take over the phone. Automating your Found Listings can be done at a later date and will depend upon your current system. Our software and services to your shelter are always FREE. 5) Eliminating County and Municipal Borders means Pet Owners and Volunteers save time. This increases the pets that will get home and also decreases the time they will be in your shelter. 6) Pet Owners can provide additional Private Contact Information Available only to Shelters and Veterinarian Clinics. You can access this information as soon as your shelter joins using this link: www.HelpingLostPets.com/ORG . For pets that have invalid microchip registration information or no microchip or tags, this allows your shelter to quickly connect. Together, we can help more lost pets get home! This entry was posted in Useful Tools and tagged HeLP, Helping Lost Pets, Lost Dogs of Wisconsin. Bookmark the permalink.